After last week's disastrous attempt to move this blog I thought I should update you on what I've decided to do and also pass on my pinterest link at the same time because it's loaded with free patterns! So yes, first of all, I do have a pinterest account where I collect free patterns as I find them. I personally check each pattern before I pin to make sure they are free and they go directly to the pattern (if possible). The patterns are categorized and alphabetical order. I maintain my boards so those of you who gave up on pinterest just like I did due to frustrating pins that lie or go nowhere, I can say 99.9% of my pins are good ones! I say 99.9% because designers do sometimes move things or decide to charge so if ever you find a pin that has changed or goes to nowhere, just leave a comment on the pin itself and I will fix it asap. It's easier for me if you leave the comment on the pin so I don't have to go searching for it. You can find the boards here. great designers out there that supplement their income by designing patterns for sale and when you purchase a pattern it helps them be self-supportive! I'm lucky enough to have found a way to support myself even though I give out patterns for free but I do rely on you stopping by my blog and/or viewing my videos on youtube or by way of donation. Sharing my posts from here or sharing my youtube videos helps others find me, so it's kind of the same thing as buying a pattern even though you don't. So thanks for sharing or donating, I appreciate it and it really helps! The Frogs have nothing to do with this post but they're just so darn cute! And second, I've decided to stay put right here on blogger for now. I was going to move to a site where I could put anti copying on my text and photos but I'm unsure now if I really want to move after all. I might one day or I may just stay here forever..
My main issue here on blogger has been theft and boy has there been a lot of it. It's super easy to steal from blogger blogs, copy and paste is all it takes! But I report stolen photos and have them removed from google and those reports take time, lots of time! So many people think it doesn't effect those of us who share free patterns but that is wrong, SO wrong! 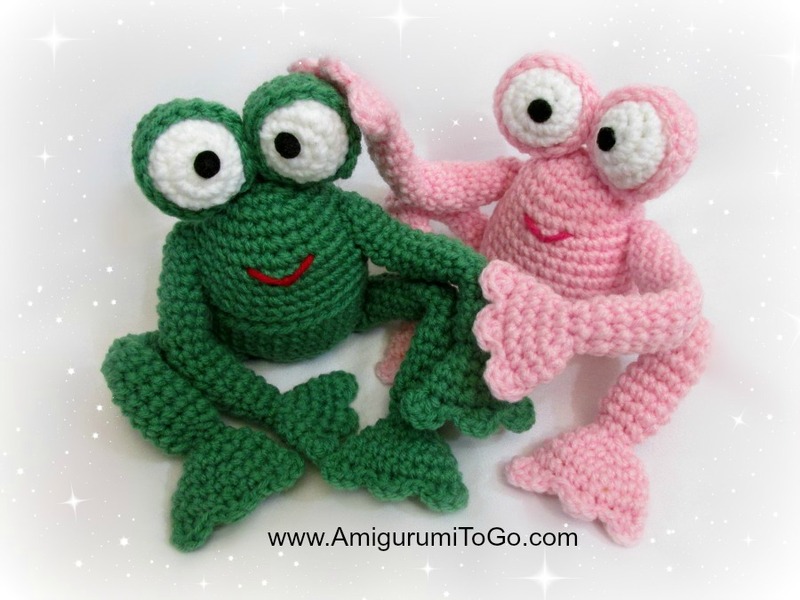 I rely on traffic to make revenue which enables me to keep on sharing free patterns. So if people take my photos and remove my watermark, (my watermark is my web address) then others who see my photos online have no idea where the photos originally came from. I don't mind people sharing or using my photos but only if they don't remove my watermark and always link back to the page where the photo came from. And translating patterns.. please, if you're one that wants to translate a pattern of mine feel free but link back to the original pattern, it's all I ask! I will even send people to your translated pattern but only if that translation credits the original. I think that's fair, don't you? But this theft issue doesn't keep me from wanting to share! No way! Maybe I'll move to a more secure site one day but I'll keep sharing here or there regardless. It's those of you who steal have to look at yourselves in the mirror everyday and if you're ok with stealing then I pray you get a conscious. And I'm not saying that with judgment or with malice. Maybe one day you will realize what you're doing is wrong. And why would you want to hurt another human being anyway? I don't want to hurt people. Gosh, we should be helping each other not hurting each other. Life is too short so let's make it a good one. Many blessings to you and to me! I hope you all have a fantastic weekend and get to make stuff! Donations of any size are greatly appreciated and help keep the patterns free. If you do give a donation, please accept this note as my sincerest thanks and know that you have helped a great deal. Oh my heavens! so glad there are free patterns out on the internet. It is refreshing to know that you love to share your talent without charging!! May the Lord bless you for your generosity. I'm enjoying myself and I'm so glad to hear you enjoy the patterns too, that means a lot. You're patterns are so much fun! I really enjoy making them! I post all of the finished products on my instagram page, and I'm sure to always create a link to your wonderful blog and credit you for each wonderful pattern I use. I want to thank you for taking the time to create this blog. It's so wonderful that you take the time to create these fantastic patterns and share them for us all to enjoy. You're welcome and thank you so much! 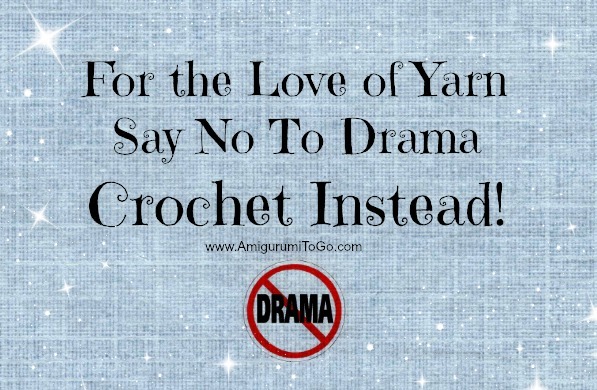 Happy crocheting and keep having fun! I am glad you didn't move without me knowing it! I am so used to reading your updates through bloggr I'd be lost! I send people here all the time! I'm kinda glad it didn't work out either.. in the future it still might happen but I'll remain here for a while yet. So.. Here's the thing: it doesn't matter what platform you use. Content theft is easy to do anywhere, and always has. If your blog has a RSS feed, and you want it to have one, content can be republished elsewhere automatically even. It's just the way the web works. There are things you can dd to mitigate damage, but content will always be stolen. I didn't know how the RSS feed works but I did figure out that adding anti theft programs doesn't really stop those those who want to take what they want. I could stop the not so computer savvy thief but not those who know what they're doing. It's an ongoing learning experience and one thing I did learn a while back is theft is par for the course so I don't lose sleep over it. I hope that one day there will be more tools given to us that would be helpful though. I read your blog but tend to leave the message whenever you write something with the message not just to all of us in crafts but to the public in general. Unfortunately we all have to fight with theft. Some go so far that claim all patterns as their own, not to mention trying to sell copied ones as their own. It always breaks my heart seeing such cold and consiousless people. But yet, there they are. your messages are always a joy and insightful at the same time. It's an ongoing issue we face for sure, I'm sorry for you and for me and the rest of us creatives who share freely. But it's also an issue for those who sell books and so on, so it effects everyone. I actually lost a huge amount of time recently battling with a couple of sites and in the end I am the one who lost because time is too precious to waste like that. In between my children and me trying to support us financially I don't have any spare time to throw away. I did let them get the best of me for a few days. Even though I maintained a good attitude and talked to them on a mature level in the end they ignored me and one even banned my ip address. But really, I can't expect a thief to have good manners, lol and it taught me that I shouldn't give them my time too! Thank you for your kind and supportive words, they mean so much to me! Thank you for being such a great person, and for all the lovely patterns as well. I have made just a couple so far, but I always share your pages and videos, and they are extremely helpful. I think that even if I ever set out to make and sell things, coasters or clothes or bags or amigurumi, I'd include their origins in a little card. It's only fair to credit the person who practically taught you, and you're right about this being the case with books too, I've seen hundreds of thefts from my father's books out there, and there's just nothing I can do about them at all. Be well, stay positive, and thank you again!